The European Congress of Radiology (ECR) is the largest radiological meeting in Europe and according to the personal message from ESR President 2017, Paul Parizel: radiology is teamwork, and the working relationships between the various professional groups − radiographers, radiologists, medical physicists, technical support staff, managers, etc. − are much closer in radiology than in almost any other hospital department. 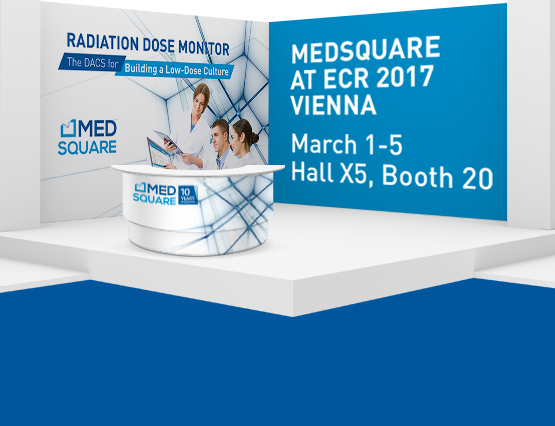 That’s why this year the ECR has collaborated with the European Federation of Radiographer Societies (EFRS) to offer a very rich and complete program for radiographers, with sessions throughout the entire ECR 2017 congress. The central theme of ECR 2017 is dedicated to ‘Youth’, because they represent the future of radiology. The scientific program will reflect this focus on a new generation in radiology: there will be more interactive sessions, a more prominent role for social media, and topics that are of particular interest to young people. As a reminder: reducing and optimizing dose delivered to the patient is also real teamwork − and RDM’s user-friendly interface makes it easier, because it brings all healthcare professionals closer to each other in a natural collaboration (see Radiation Dose Monitor (RDM)’s video). RDM is a dose monitoring solution that can change the practices of healthcare professionals. The solution fulfills the requirements of the Euratom Basic Safety Standards Directive (2013/59/Euratom). 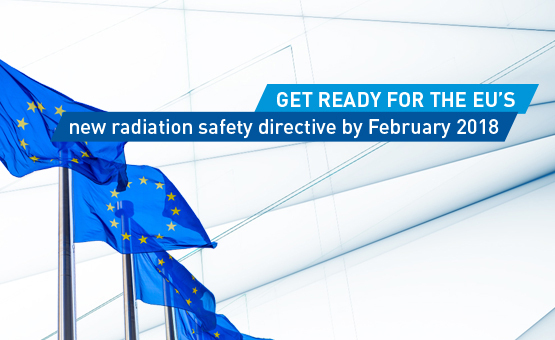 The transition period for the directive ends in February 2018 (less than a year away), by which time all EU member states must have implemented the directive in national legislation. • … and many more!